poor map quality for Australia’s rugged remote locations. Rob joined the business and became Hema's managing director in 2005. He says his parents gave him the freedom to explore and discover his gifts, strengths and passions along the way. Yes, the apple doesn’t fall far from the tree! 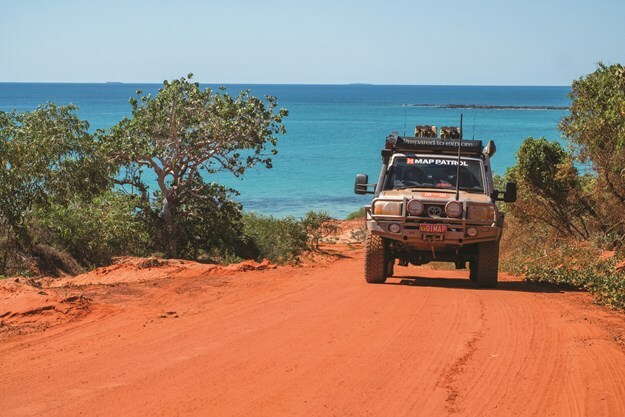 Since pioneering GPS field data capture in 1996, Boegheim has explored and mapped more than 150,000km of Australia’s most remote roads and tracks and also led a Continental Divide Expedition in North America from Mexico to Alaska. These remote, vehicle-based expeditions depend on high quality and reliable equipment purpose-built for use in extreme terrain. As managing director, Boegheim has led Hema through several waves of digital transformation including GPS tech, apps and data-driven digital maps, always looking for new ways to adapt Hema’s spatial content to the ever-changing customers' needs. 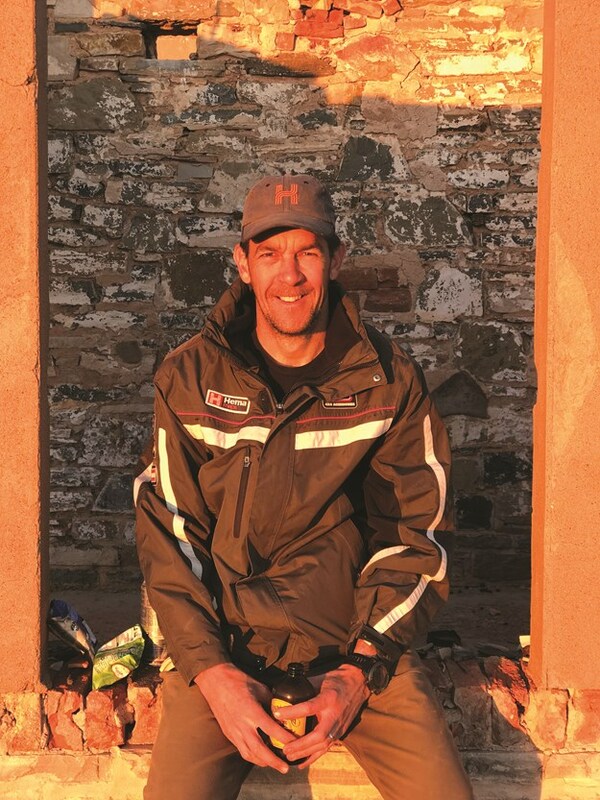 Recently, he has embraced his new role at Emprise Group, as Chief Exploration Officer, or CXO for short, bringing the voice of the customer into the business for the continuous improvement of their data, products and services, as well as continuing to lead expeditions deep into the heart of our vast and beautiful continent. 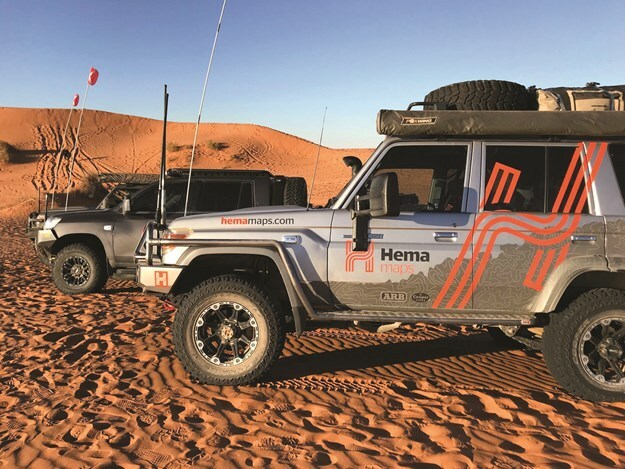 And there’s nothing satirical about the travels of this modern-day Gulliver who loves to discover hidden treasures in his Hema Map Patrol 4WD and develop the very best map and navigation products for like-minded explorers. In this Q&A, we delve further into Boegheim’s passion for exploration. CW: What are the primary aims of your new CXO role? RB: To empower our staff, business and customers to explore beyond their known boundaries. To bring the voice of the customer into the business and help it guide our decisions on products, services and experiences. To help educate our staff and customers about our brands and products and continue my role as the face of the Hema brand to both our partners and customers. Most enjoyably, I’ll have the opportunity to lead a number of partner-based expeditions into remote locations, creating unique content and the opportunity to take them, their products and their businesses beyond their current horizons. CW: Could you provide a timeline on Hema’s history? RB: Hema began in 1983 (35 years ago), first as a map distributor and then publisher since 1989. That year our founders, my parents Henry (He) and Margaret (Ma) went on a trip to Cape York and were so dismayed by the poor mapping available they came back, found a cartographer and we made our own map of Cape York. Just a couple of years later (1992) we published our first road atlas and have since sold more than two million copies. I got involved in 1992 after completing an earth sciences degree and began selling, field checking and publishing maps including Central Australia, The Top End and The Kimberley, etc. In 1996 we checked our first map (Red Centre) with a GPS and laptop, and thus began building the mapping database which underpinned all our specialist 4WD regional maps from then on. 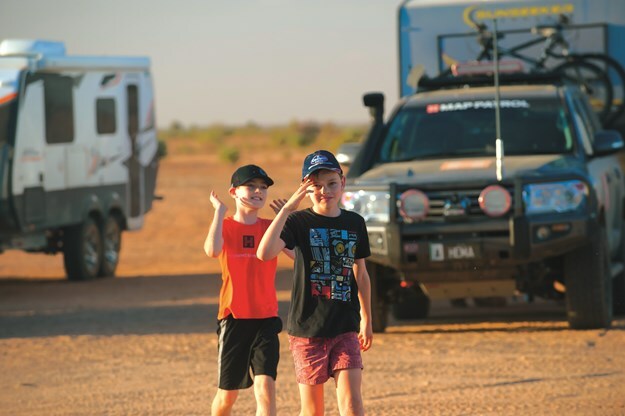 Over the next 15 years we GPS-field checked more than 300,000km of outback roads and tracks during countless expeditions into the unknown, including our most famous Great Desert Tracks mapping expeditions in 1998 and 2000. In 2008 we produced our first Hema Navigator GPS, followed by our first 4WD Maps app in 2011. Then in 2012 we decided to do it all over again, rebuilding our database and mapping system from scratch to meet the needs of digital and navigation products, releasing the first outputs of this in 2014 in our new Explorer Map and App. CW: Can you reflect on the catalyst for your exploring passion? RB: Ask most people who love the outdoors and there’s a good chance they’ll have a childhood story about doing it from a young age. Same with me. Whether it was with my family, boy scouts or with good mates, I grew up camping, fishing, boating, hiking, canoeing and 4WDing. Often we'd go on long road trips to Victoria to visit relatives. Every year as a teenager, I’d visit my cousin up in Gladstone, Qld and we’d drive old unregistered vehicles and motorbikes on the beach and mudflats around Curtis Island. Later I realised exploring was in my DNA as, just like my parents, I instinctively loved going down roads and tracks I’d never been down before. We’ve intentionally done the same with our own kids since they were three months old (I had two of them with me in the Simpson Desert recently) so exploring is a normal part of life for them, too. CW: What regions of Oz and the globe have you circumnavigated? RB: In 2015, I completed my ‘big lap’ of Highway 1 around Australia, having done it in many sections over 20-plus years. I’ve stood on all four ‘corners’ of the continent (north, south, east and west) and my mapping work has taken me to every region of Australia — just a few isolated pockets left to explore. I have also spent time overseas exploring the highways, backroads and 4WD trails of North America. In 2016 I drove from the Mexican border to the top of Alaska via the backroads of the Continental Divide. CW: Your favourite destinations and expeditions? RB: As my wife would testify to, the more remote the better! My favourite places and expeditions tend to be in our deserts or along a wild section of coast. Places few will have heard of such as Gwenneth Lakes (WA), the Puntawarri Track (between Jigalong and the Canning Stock Route in WA), Cape Melville in Qld and Cape Arnhem in the NT. 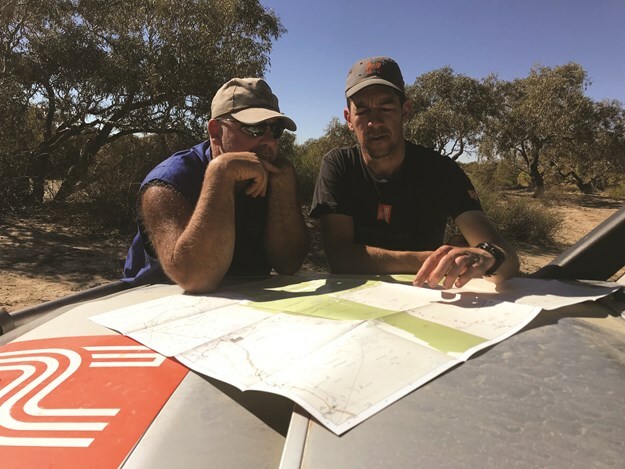 Mapping out a new route to the geographic centre of the Simpson Desert was both an exploration and mapping highlight. It’s also why the ice-roads of the arctic slope in Alaska or the Canol Road in far northern Yukon were so special, as after 20 years of exploring Australia these places felt just as remote but had a whole new layer of unknowns including ice, snow and bears! CW: How would you describe your reputation in the 4WD sector? RB: An odd question and really one for the industry to answer, but I guess I’m seen as one of the most knowledgeable people on places to go and explore, including what unique experiences will give people the lasting memories they long for, which are different for each person. As a passionate photographer I add another layer by also knowing the best place to be at the right time of day. So whether you’re an industry partner or an adventurer, I love to pull out a map and help you to make the most of your time exploring an area. Travelling solo in extremely remote locations, I push my equipment pretty hard so, if I think a product is pretty good, it’s usually because I’ve pushed it to its limits and it hasn’t let me down. From a mapping industry perspective, I’m one of the few business leaders who has successfully transformed a traditional print publisher into a digital, content-driven business. CW: What's your current day-to-day involvement in both the print and digital worlds? RB: Mostly on the customer-facing end, trying to ensure our products continue to meet the constantly changing demands of our print and digital customers. It’s tough given we are a small company carving out our niche in a world of digital giants that raise the bar of consumer expectation with multi-billion-dollar platforms. But our content underpins the whole industry, so we owe it to our customers to continue to stay relevant to their changing needs. CW: In essence, what presses your exploration 'buttons'? RB: Pushing myself and others to discover new things about ourselves and those we travel with, when we explore beyond our known horizons. I love to help people remove the self-created blockages and fears that prevent them to ‘just go and do it’! It must be why Green Eggs and Ham was my favourite childhood story. CW: Crystal ball gazing: what's in the pipeline for Rob Boegheim and Hema? RB: We're trying to figure out what’s next beyond current digital products, such as GPS and apps, and that challenge leads us back to our roots as a content-driven business. We want to give all explorers access to our amazing maps and content, in whatever form they want to consume it. They are increasingly after customised and guide-based content specific to their journey and desired outcomes. CW: Can you cast your mind back to the pioneering days of GPS field data capture? RB: Like it was yesterday. A small handheld GPS receiver, plugged into an AT laptop via a serial cable and a series of black dots on the monochrome screen drawing the road behind me as I drove. With so much data filling the tiny onboard memory, it crashed the computer every 30 minutes. The funniest part was seeing how wrong my guesswork had been when, before GPS units, I’d used the ‘wiggle machine’ and simply made up the road alignment between two points! CW: Describe Hema's digital transformation during the past decade. RB: In simple terms, it’s been about making the awesome value of our high-quality maps available, however the customer wants to use them. Whether that’s in a paper map, atlas or guidebook, in a GPS, app or in-dash navigation system or an online trip planner, a good map is the key to confident, self-guided exploration. It’s been tough and a team effort but we are really proud of how we responded and continued to stay relevant to our customers and our industry. CW: How integral is customer feedback in Hema's proactive business model? RB: All my working life, I’ve loved serving customers and creating high quality map and navigation products to give them the confidence to explore. Since our very first product, our strength has been that our maps and products were designed by explorers for explorers. But in the digital age it’s more important than ever that we listen to and respond to our customers and enable them to lead our business forward as now they don’t just use our products, they help capture the data in real time and we can quickly share it for the benefit of all explorers.